From head banging to squeaking, what does your tortoise's behaviour mean? Is your tortoise insured? Get a quote for £2,500 of vet fees, death and theft cover. Vet fee cover only is also available | We've been insuring exotic pets since 1996 | Check out our customer reviews on Feefo. Tortoise behaviour can be baffling, but understanding it can be very important. We look at six common questions about tortoises and their behaviour. Vet checked article by John Chitty, BVetMed, CertZooMed, CBiol, MSB, MRCVS. Why is my tortoise head banging? Tortoises are not social animals and head banging or butting can be a sign of mating rituals or dominance. When mating, males will often bob their heads at a female, before attempting mating. If both tortoises are male, a fight may follow, resulting in one tortoise being overturned. Male Spur Thighed tortoises may also ram the female, while Hermanns, Marginated and Horsefield’s may bite the female. It’s thought this helps to stimulate ovulation in the female. Males will also smell the cloacal region of the tortoise, as this gives off pheromones. This helps the male determine not only the gender but also the species. Tortoises are highly unlikely to mate with a different species. And it's not only males that will demonstrate these behaviours. Gravid females – meaning they’re carrying eggs, will also become aggressive. Biting, head-banging and ramming any tortoise, person or object that is near them. Some Mediterranean tortoise species are more prone to head banging than others. The Spur Thighed will head bang more often, whereas the Hermanns is more likely to head bob. If your male tortoise is head banging, biting and generally being assertive, it could also be marking its territory in defence from other males. Tortoises will also do it to bully smaller, younger tortoises, and incompatible species. Bullying can occur at feeding time, when a larger tortoise will defend its food from weaker tortoises. These behaviours can start at any age. Some tortoise owners have stated that their tortoise began headbanging in their 40’s. And they can perform the behaviour on any object – from shoes, to rocks, to even skirting boards. Thanks to John Chitty BVetMed, CertZooMed, CBiol, MSB, MRCVS for his advice on the mating rituals of tortoises. Headbanging, ramming and biting can all be part of your tortoise's mating behaviour. Squeaking or whistling can be a sign of respiratory infection, so if your tort is squeaking or whistling, check for signs of nasal discharge and laboured breathing. Squeaking can also form part of a male tortoise’s mating ritual and can often be very loud. Tort owners on the Facebook group Tortoise Keepers have discussed the topic several times. Some owners comment that their tortoises squeak regularly and it's part of their pet’s personality. However, all tortoise owners are very aware of respiratory infection, and the association with squeaking. Any new squeaking is greeted with caution and is often queried by Facebook group members when mentioned in the forum. Tortoise Forum and Facebook Forum members also comment that whistling can be caused by substrate that is too dry, humidity levels that are too low or a dusty environment. The overly dry environment can dry out tortoises ‘nares’ and cause whistling. 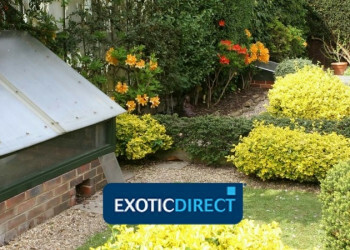 Remember though, that many tortoise breeds originate from a drier environment, so make sure your humidity levels and substrate are suitable for your tortoise type. Is your tortoise insured? Get a quote for £2,500 of vet fees, death and theft cover. Vet fee cover only also available | We've been insuring exotic pets since 1996 | Check out our customer reviews on Feefo. Tortoises may make a deep panting noise accompanied by a hiss, when they’re about to take food into their mouths. They’ll also stand over the food, and move their forelimbs slightly. The tortoise will then take small bites of the food in order to taste it, and then begin eating. Hissing can also a fear response, accompanied by exhaling heavily. Thanks to John Chitty for his advice on panting and hissing in tortoises. Why does my tortoise keep scratching? You may find your tortoise scratches because its enclosure is too small for it and it feels trapped. Another reason for scratching can be lack of substrate. Providing the right enclosure: Your enclosure should be as large as possible to enable exercise and prevent boredom or lethargy. It’s suggested that a Tortoise Table measuring 4ft x 2ft is appropriate. Alternatively you can provide a vivarium. 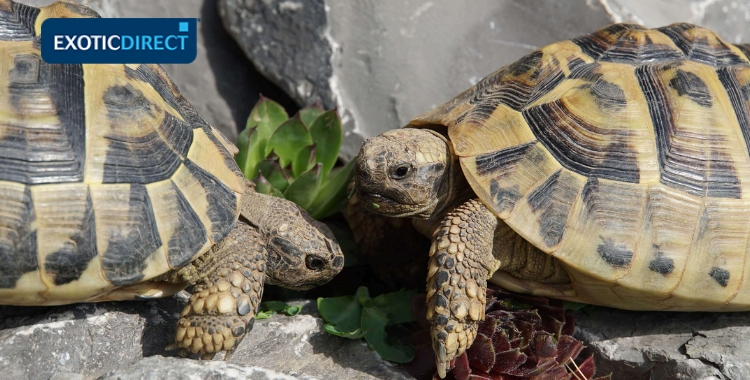 If you own a Mediterranean, African or Russian tortoise some breeders and experts, including the Tortoise Trust, suggest avoiding the use of vivariums. This is because it's felt that vivariums can lead to health implications for Mediterranean, African or Russian tortoises due to the higher humidity, the difficulty in achieving a suitable ‘tortoise’ heat gradient and adequate ventilation. It's also suggested that tortoises may become confused by the glass and try to get through it. 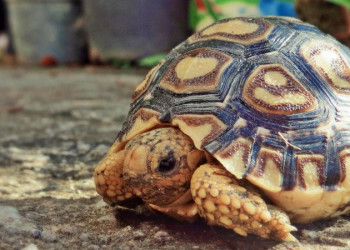 However other notable experts such as E J Pirog oppose the opinion, and suggest that vivariums are essential for young tortoises in maintaining the correct temperature and environmental conditions. If you're unsure about the best type of housing for your tortoise, you should speak with your vet. Provide lots of substrate: A lack of substrate can also be a cause for digging. Tortoise owners on both the Tortoise Keepers Facebook group and in tortoise forums both state that Horsefield tortoises are natural climbers and diggers, and a lack of substrate will lead to the tortoise scratching at the enclosure. Tortoises like to burrow, and it forms part of their natural behaviours. In the wild they do it to keep warm, or cool, depending on the season. And they will repeat this in their home with you. Try to provide as much substrate as possible, so that your tortoise can dig right in, covering itself up. Other tortoise owners suggest providing multiple hides for the tortoise for the tortoise to hide away in. Your enclosure will of course need to be big enough for this. If your female is carrying eggs, its likely she will burrow to lay them. A lack of substrate will lead to excessive scratching. An enclosure that is too small for your tortoise, can cause it to pace. You should provide as big an enclosure as possible. Walking is a natural part of your tortoise’s behaviour – in the wild herbivores species of tortoises will walk for hours and hours searching for food. Even with a large outdoor tortoise enclosure you may find your tortoise will continue to pace. It's just your tortoise expressing its natural behaviours. If your tortoise is housed in a vivarium, it can become confused if it can see the outside world through the glass, adding to the problem. Try covering up the bottom part of the glass, to help reduce this confusion. Do tortoises urinate when scared? Tortoises sometimes urinate when they are picked up. This is thought to be a defence mechanism, due to the volume of liquid, and the speed at which it is released. If your tortoise does this, ensure that its given plenty of opportunity to rehydrate, either through bathing it, or providing water rich foods. Why do tortoises hide in their shell? This can be a passive defensive behaviour, where a tortoise will retract as much of its body as possible. If your tortoise does this, try to identify what's frightening your tortoise, and remove it. Biting can occur during mating and can also occur as a defensive behaviour. A tortoise will not go out of its way to bite you and it may only occur if you put your fingers near its mouth. Thanks to John Chitty for his advice on urination, hiding and biting. Banging and butting is generally normal for tortoises, but squeaking and whistling should always be checked by a vet in case it’s caused by a respiratory infection. Panting and hissing can also be normal for a tortoise, as it’s a precursor to eating. However, if this is unusual for your tortoise, get it checked by your vet. The larger your tortoise's enclosure, and the more substrate the better. Tortoises are natural walkers and need as much space as possible. And they also like to burrow to keep warm or cool. Females also like to burrow in order to lay their eggs. You should provide as much substrate as possible. The opinions on the use of vivarium’s and Tortoise Tables are divided, so if you're not sure, speak to your vet. Hiding in its shell, hissing, excessive urination and even biting can be a defensive behaviour. Take the necessary steps to remove what’s frightening your tortoise, and if necessary, ensure your tortoise is completely rehydrated. And finally, if your worried that your tortoise may not be well – again visit the vet. A happy tortoise is a healthy tortoise. Insure your tortoise for £2,500 of vet fees, death and theft. Vet fee cover only is also available | We've been insuring exotic pets since 1996 | Check out our customer reviews on Feefo. John Chitty BVetMed, CertZooMed, CBiol, MSB, MRCVS, Extract from: "Essentials of tortoise medicine and surgery" Published by Wiley, (2013). Find out how to build an outdoor tortoise enclosure including depth of foundations, materials, suitable plants, substrate and position.